Left in LA, (aka Los Olvidados LA in Spanish) is for all the people Los Angeles leaves behind—like the people left without housing, the people left to live in fear of the police, and the people left not knowing where their next meal is coming from. Left in LA seeks to create mutual aid networks to address people’s immediate needs while also organizing to fight the root causes of these problems—among them: capitalism, colonialism, statecraft, patriarchy, and white supremacy. Left in LA is also for the people who’ve been left behind by other organizing spaces in the city, spaces that failed to keep them safe. Our organization was first created as a convening of feminist, queer, and trans anti-capitalist organizers to share our successes in organizing as well as our strategies for overcoming systems of oppression that are often replicated in anti-capitalist spaces. We recognize that the struggle against capital is fought internally within our own communities, our own organizations, and ourselves, as much as it is externally against the bourgeoisie. 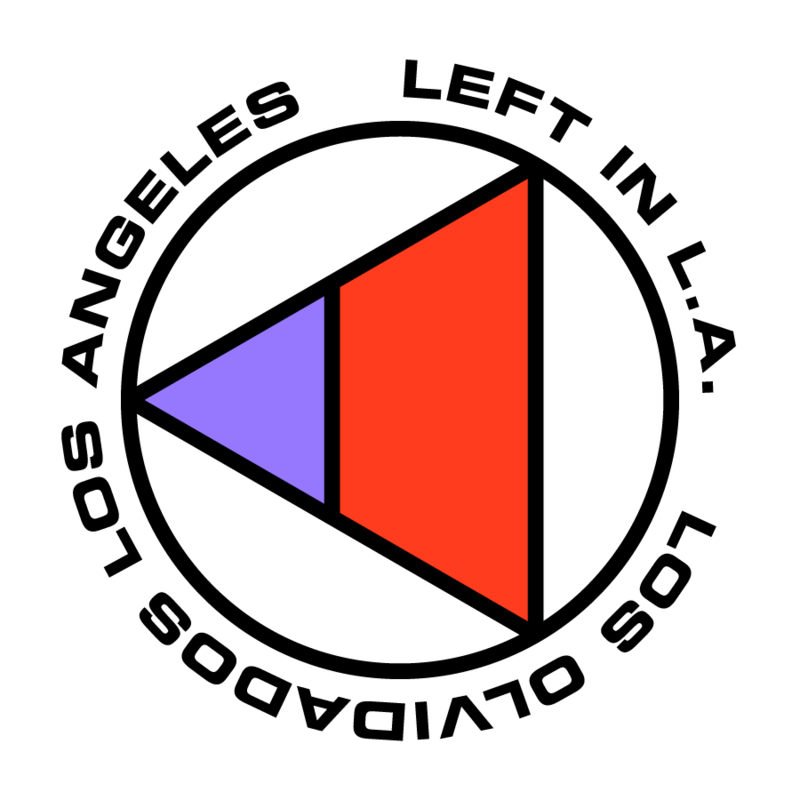 Left in LA aims to build a mass movement of people currently dispossessed by the city. Our initial goals are twofold: 1) to build a mutual aid network to tend to the most pressing needs of our members; and 2) to engage in political education and mass organizing. The electoral system and the capitalist US state has never been designed to be truly responsive to the needs of the vast majority of people. As capitalism continues to accelerate climate change, incarcerate more people, and leave more people to die without food, shelter, or medicine, nothing short of totally turning over this system to truly serve the people is sufficient. Only an organized mass movement of those left behind and oppressed by the current system can accomplish this. Left in LA aims to create communities that “opt-out” of capitalist modes of social relationships wherever possible through mutual aid networks. We believe that this is not only useful for sustaining ourselves through our ongoing struggles, but that it also serves as a necessary building block to determine effective methods to build a world beyond the boundaries of capital. As we learn and grow as a community, we will demonstrate new ways of being outside of traditional market exchanges for goods and services as experienced under capitalism. What’s more, as climate related disasters become more and more frequent in Los Angeles, and as fascists become bolder in their attacks against people in our communities, mutual aid networks and localized campaigns will allow us to quickly mobilize to face these threats. Through consistent love and support of each other, we can perhaps discover new ways to weather our collective struggle together. Our Summer 2018 convening was held on Saturday, July 21, 2018 .General info for our 2018 event can be found here. Our 2017 schedule is available here. Our 2017 panelist bios are available here.